I was out of town, having lunch at a local cafe when I noticed a young mom taking a picture of her toddler while eating. “Come on, look at the camera!” she pleaded. The toddler said “no”, shook her head. Mom took the picture anyway and probably posted it on Facebook and/or Instagram. The little girl just wanted to have lunch with her mom. It was yet another example of how so many of us, this writer included, are enjoying important moments through a lens. As the mom was taking her toddler’s picture, she might have been thinking about what filter to use, or whether or not to tag someone else in the photo to get more visibility, likes, comments, whatever. I’ve done that, plenty of times. What I do know is that I have stopped doing a few things I used to do regarding my own children. For example, and maybe it is the fact that they are older now… I have stopped curating their photos and videos to make digital presentations of their lives. They enjoyed watching themselves when they were toddlers. They never said “no” when I wanted to video record their birthday party using my totally 20th-Century camcorder. Author Amy K Rosenthal suggested parents take a picture of their child every year on a couch to hallmark their annual growth. My parents have recorded my kids’ heights by the back door in their house. Since I have been uploading all of these images and videos to Facebook and other social media, what have I lost? I think we lose ownership of our documented lives. Not that the social media sites own them (although Instagram makes it hard to download your content). It’s that we aren’t doing anything with our documented memories. We aren’t putting pictures into scrapbooks or making home movies with our video recordings anymore. At least I haven’t. Maybe that is what is lost when we live through a lens; time to contemplate our shared histories, to pore over our artifacts from life and think about what made them special. These reflections, as well as the process for organizing them into a coherent timeline, brings me joy. I cannot wait to share what we developed, although who we share them with is mostly immediate family. Do people beyond our inner circle really care that much about our life details? Should they? They have their own lives to live. I’ve used the excuse that I post on Facebook because that is a great way to let family and friends know how our kids are doing. But why not use text message? Or email? Or an online photo print provider? It’s just as easy. I suspect it is because social media such as Facebook and Snapchat are set up to keep us coming back for more sharing and attention. We are trained to rely on the likes and comments for validation of what we shared. (I won’t even get into the whole Russia thing.) If treated with light-heartedness and basic info sharing, social media should be fine. But once our emotions and habits are manipulated, the line between what is personal and what is public starts to get blurry. I’m deleting my Facebook account for a variety of reasons: my data is used by Facebook to profit from advertisers; Facebook appears to have been a part of the misinformation campaign from the 2016 elections; it is built to keep me and others using it for hours on end. I do hear at times, “Don’t blame the technology; it’s only a tool.” Yes, but it’s a powerful tool, designed to distract us from everything else. If Facebook were only a tool, I would be more cognizant of when and when not to use it, like a hammer or a saw. I’ve caught myself many times flipping through my feed when I had originally planned to write or do something more important, such as having lunch with my kids. No worries about my photos and videos: I’ve downloaded them all from Facebook and saved them to a cloud storage account and on an external hard drive. I would like to get back into documenting our experiences, maybe even do some photo journaling that highlights our family’s visits to libraries. I feel at least a little redeemed in that I haven’t loss the content of our lives, just as long as I do something about it now. If you are waiting for me to say, “I’m not here to tell you what to do with Facebook,” I won’t. I think you should also evaluate your use of Facebook. Is it keeping you from enjoying the moment and being mindful of the present? Are you finding that you are no longer engaging in a few hobbies or family experiences like you used to? It’s not the only social media platform with issues, but it might be the worst. I am going to continue using Instagram and Twitter. I find the former to be lighter and less addictive. For the latter, I believe I have tamed the beast a bit by using lists and specific apps that restrict advertising and unwanted posts on my feed. More than anything, I want to be a little more present in my life and take control of the things I can control. My phone is not the answer, and Facebook isn’t fitting into the equation. We should not judge people by their peak of excellence, but by the distance they have traveled from the point where they started. As both a father and a building principal, education is a personal endeavor as well as a professional one. My two children have always attended the school in which I have served as a leader. So for me to recommend anything to teachers and leaders, it has to pass muster as a dad as well as an educator. Click here to read the rest of this ASCD Inservice article! It’s Saturday night, which means I start to wind down my connectivity. I try to take a 24-hour sabbatical from almost all things technology. Typically I would let the phone die and not recharge it. However, lately I have been using an app called Streaks. You can track your daily habits in order to develop a better, more healthy lifestyle. You can track your progress over time and customize your goals for how frequently you want to accomplish something. During the day, the app will push out notifications on your phone to remind you to drink enough water and get 30 minutes of exercise. While the dilemma is now whether or not to have my phone on Sundays, these notifications are the type of distractions that I appreciate. I feel a little more mindful of my actions, even if I don’t always meet my goals. This example relates to an article I wrote for EdTech Digest, titled Promising Distractions. 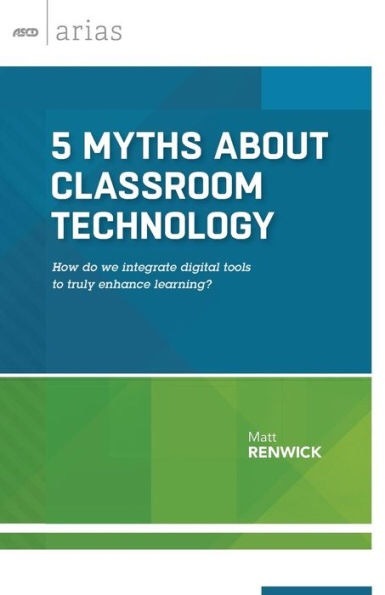 Educators are bombarded with so many options for integrating technology into instruction. Which ones are worth our time? I offer three possibilities: gaming, digital storytelling, and citizen science. Each of these modern concepts holds a lot of promise for teaching and learning.